The Board of Directors of RTL has appointed its Chairman Thomas Rabe to the position of Chief Executive Officer (CEO), effective immediately. Bert Habets has resigned as CEO and member of the Board of RTL Group for personal reasons. Martin Taylor, currently Vice Chairman of the Group, has been appointed as Chairman and James Singh as Vice Chairman. Rabe will take on his new role in addition to his duties as Chairman & CEO of Bertelsmann. Taylor remains Chairman of RTL Group’s Nomination and Compensation Committee, and James Singh Chairman of the Audit Committee. Rabe was appointed Chief Financial Officer and member of the Executive Committee of RTL Group. He joined the Board of RTL Group in 2006 and became its Chairman in 2012. 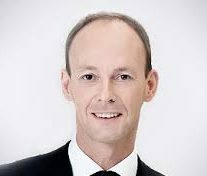 In 2006 he was appointed Chief Financial Officer of Bertelsmann, and in 2012 its Chairman & CEO.